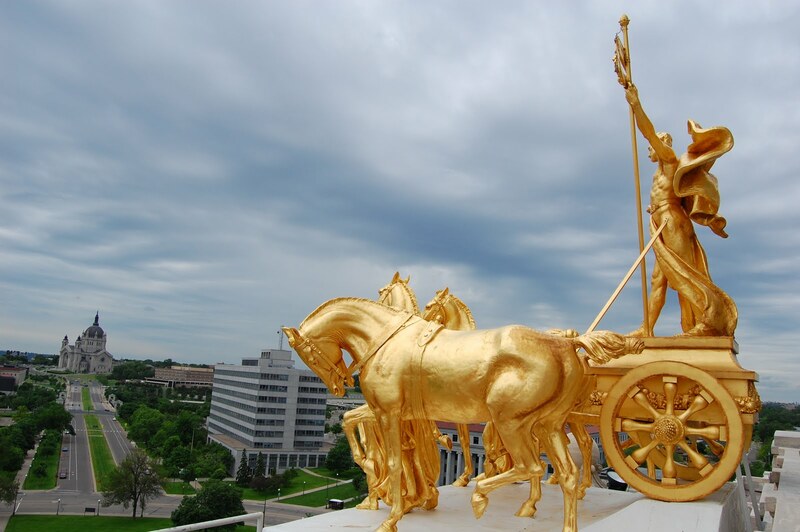 Progress of the State is a statue of a quadriga that adorns the State Capitol of Minnesota. It is covered in gold leaf, and presents the usual assortment of allegorical characters and symbols. The purpose of my visit to the Captiol was to further the progress of a geocoin. Off to the southwest is the Cathedral of St Paul.